We have categorized four types of SEO package, Local, Global, E-commerce and Advance Ecommerce. These are based on keywords and work activities which we will offer you at a reasonable price. Choose one of suitable plan & package for your business promotion and place the order today. 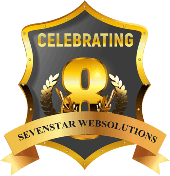 Sevenstar Websolutions © 2011-2019 All Rights Reserved.